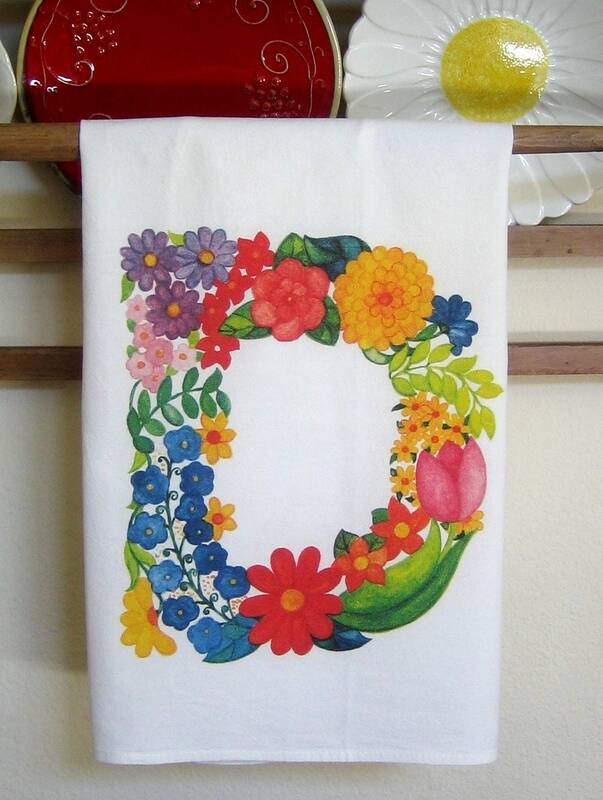 Letter "D" watercolor floral monogram kitchen towel. 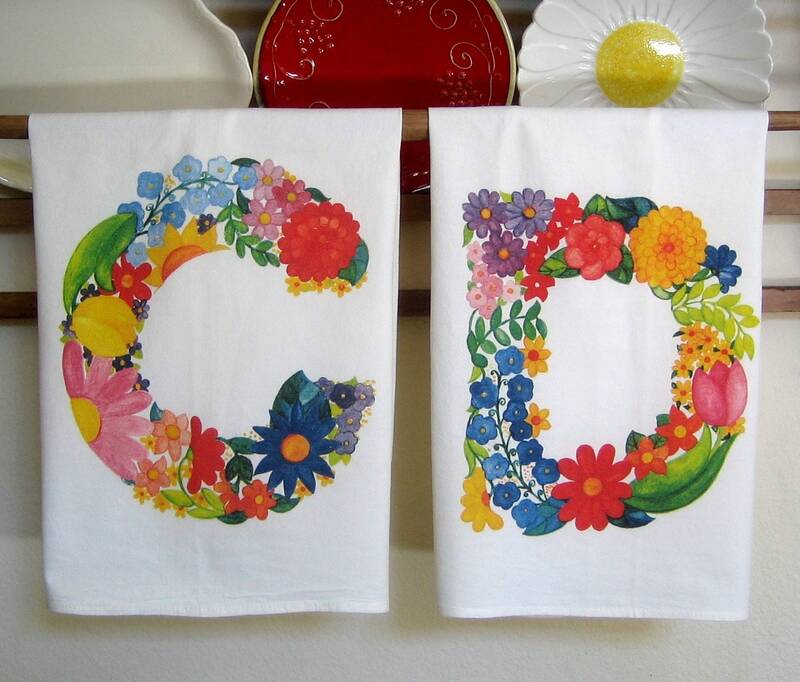 Original watercolor flowers letters, colorful and detailed, scanned at high resolution, digitally printed on nice quality and weight cotton kitchen towel, 30x30. Each letter is different but all go together. Letter is appx 9" across, printed center, bottom edge of towel, meant to be shown when towel is folded, hanging on oven handle or rack. Not an overall print, a single letter.